Burnage M19 Deep Rug & Carpet Cleaning Services | Quality Property Care Ltd. Restore your beautiful rugs with the assist of a professional carpet and rug cleaning company in Burnage M19 Has your gorgeous rug lost its vivid colours and looks worn and dull? There quick and easy solution for you. Quality Property Care Ltd., a carpet and rug cleaning company which delivers top quality commercial and residential rug and carpet cleaning in Burnage M19 and the area. 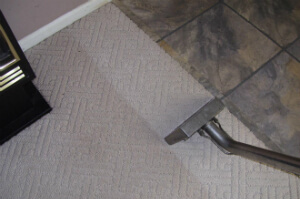 The carpet and rug cleaning services are offered with the latest cleaning technologies and reliable cleaning solutions. The professional carpet and rug cleaning team offers carpet stain and spot removal, dry foam carpet cleaning or shampoo carpet cleaning for all kinds of rugs and carpets . Trust the tvetted and trained cleaners to deliver you top quality services at the best rug and carpet cleaning prices in the region. Call the expert client service line or send an online request for a totally free estimate, and you will get an offer in 2 hours! Elements like silk and cotton hardly ever take well to moisture and heat, this is why we use a dry cleaning method which is a lot more gentle towards natural fibers. Once the stain appears be sure to act speedily and blot out if it’s a solid one. Remember to use a colourless cloth or a paper hand towel and start from the edges in to prevent the stain from spreading. This way you not only remove any moisture but also some of the stain with it. If its coloring don’t let it dry or it will be difficult to remove, you need to keep the stain wet for our cleaners to be able to get rid of it completely. Once there they clean the spot with a hoover to remove any solids and draw out as much as possible. Later a fine brush is used to imbed our fine granulated dry detergent into the fibers of the carpet or rug. The detergent binds with the stain taking away any remaining moisture and cutting its bond to the fibers of the stain. To prevent colour bleeding into the fabric we leave the detergent to sit for 12 mins. Once the time us up the detergent is draw out and along with it all of the filth it has linked itself to. There are no leftovers as a strong vacuum machine is used to finish the procedure, leaving nothing behind aside a clean rug or carpet. Steam carpet cleaning: hot water extraction method with deep action. The method is perfect for old carpets and synthetic. Dry carpet cleaning is a dry foam carpet cleaning method that uses no liquids and stops delicate carpets from tearing and wasting. The company Quality Property Care Ltd. was established in Burnage M19 back in 2005, and since then has been developing and evolving, to be able to catch up with all the latest trends in the cleaning industry. The cleaners are all vetted, regularly trained and supervised for their cleaning performance. The machines, instruments and solutions used for the deep carpet cleaning, and the other cleaning services provided are certified, safe and modern . The cleaners can handle any kind of spots on your rugs or carpets, including: wine, oily stains, blood, rust, vomit, coffee, paint or tea. All services provided are covered by insurance, and the quality is guaranteed. Dear customers, do not think twice to get in touch with us, if you have any questions or need of more additional information. Our carpet cleaning customer support reps will reply to you as soon as possible! For primary online reservations, use the booking form on our website. Get a totally free quotation via this phone number: 0161 823 0325! Our friendly and decent carpet cleaning company in Burnage M19 is waiting for your calls!